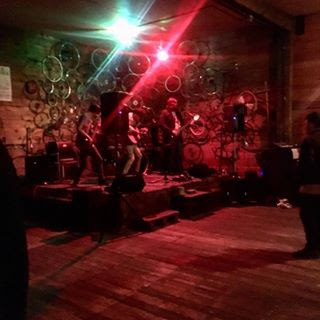 Local bicycle shop Free Cycles hosted an event on Friday, December 15th which brought two local bands to the stage inside their shop. Jackson Holte and the Highway Patrol, an Americana band, played late in the evening. Opening for them was Edgar Allan Kubrick, a folk and alternative band partially comprised of University of Montana students. 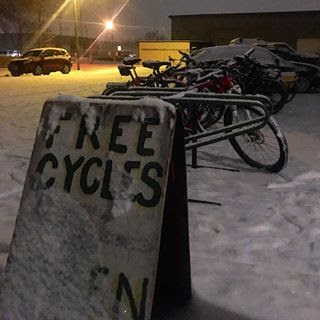 Admission was free, but donations to Free Cycles were welcome. 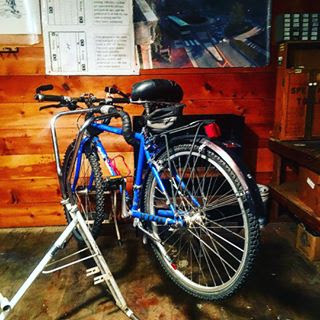 When not hosting events like this, Free Cycles is a bike shop that is open for community members to repair their own bicycles. Volunteers and staff assist visitors in learning how to fix their two-wheeled transportation, and classes are available as well. For more information, visit their website.